Every food-lover’s nightmare is waiting eagerly at a restaurant only to be met with disappointment when the food isn’t anything like what you imagined up from the menu description — and even worse when you find a hair in your dish or the meal ends up giving you a stomachache. Luckily, the internet has come to our rescue: a new feature will allow users to view restaurant hygiene scores on Yelp. Of course, health inspections at restaurants is nothing new (the first “Restaurant Sanitation Program” was developed by the FDA and the U.S. Public Health Service in 1934) — but the information isn’t always super accessible. “Unfortunately, this information is often buried on clunky “dot gov” websites beyond the easy reach of consumers,” explained Luther Lowe, Yelp’s Vice President of Public Policy, in an announcement post. He also mentions the “equally inconvenient” notion that health scores can often only be found offline, “displayed somewhere in the physical business, and not always obvious to the diner.” Honestly, who wants to have to go all the way to a restaurant to check their hygiene score before even deciding to eat there? Yelp has been working to solve this issue since 2013 with their Local Inspector Value-entry Specification (LIVES) program, which aims to increase access to restaurant hygiene information by “working directly with local health departments to bring this data onto Yelp.” Today, the company’s LIVES program went national. Over the past five years, Yelp has been able to add health inspection info to more than 200,000 business pages — now, that number will triple. By collaborating with local governments and HDScores, a search engine that maintains a vast database of health inspection details (and has special system just for the Yelp app and website), Yelp intends to expand the feature as much as possible. Lowe emphasizes that Yelp’s goal has always been to provide consumers with accessible, helpful information about the businesses in their communities. “We know from a study of the Los Angeles restaurant industry that when consumers have better access to restaurant hygiene scores, the number of hospitalizations due to foodborne illness drops, and best practices improve across the industry,” he explains. 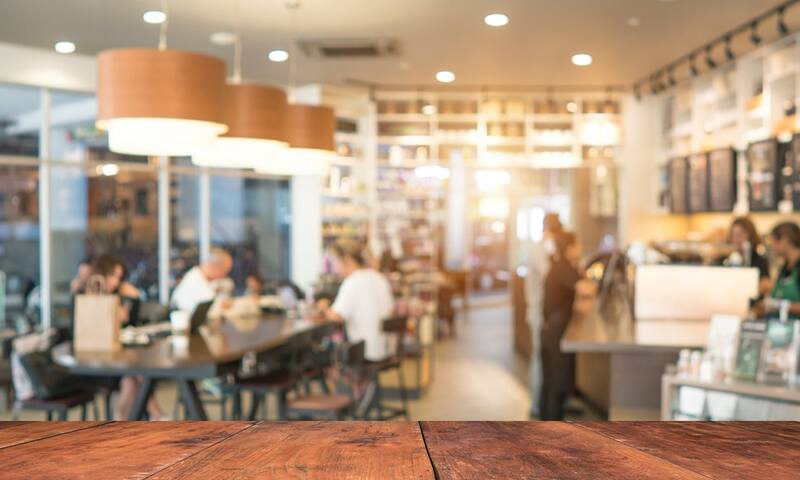 According to Yelp’s announcement post, posting hygiene scores publicly on the platform has lead to a 12 percent decrease in “purchase intentions” for restaurants with lower scores compared to those with higher ones. With the expansion of Yelp’s LIVES program, checking the hygiene ratings for that restaurant you’ve been wanting go to has never been easier. 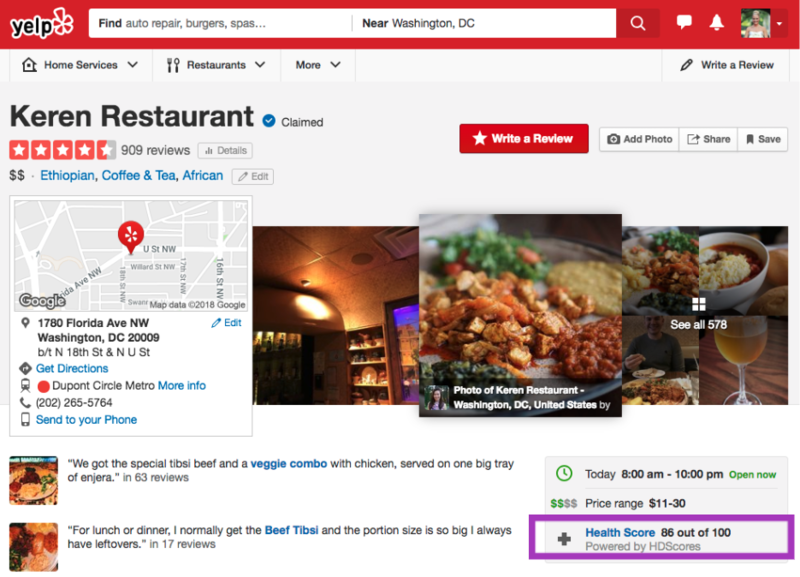 Once you’re on Yelp, you can simply go to a restaurant’s page and click on the health score. From there, you will have access to well-organized, detailed information on the business’ health grade, inspection dates and scores, and explanations of any past or present violations. Next time you’re about go eat out, pull up the Yelp app to ensure that you’ll be dining in a clean environment — you deserve to eat like a queen.